Lilisa is the Assistant to the Vice President for Academic Affairs at Hudson County Community College and responsible for creating and implementing adjunct professional development programs for the college’s adjunct faculty members, the 2015 NISOD (National Institute of Staff and Organizational Development) Liaison, Academic Affairs Strategic Planning Coordinator and Articulation Agreement Coordinator. Prior to receiving this position, Lilisa spent 15 years in the position as Adjunct Professor at both Essex County College since 1998 and Union County College since 2004. Lilisa has taught various courses in the business department and has been trained as one of New Jersey’s leading professors of the College Success Seminar at Essex & Union County Colleges. Lilisa travels around the state and the country training students, staff and educators on Student Success through Motivation and Self-Empowerment. Lilisa received her AA from Union County College, her BA and MBA from Fairleigh Dickinson. She has earned over 40 credits toward her PhD at Capella University in Training and Performance Improvement. She Has Received the Following Accomplishments: Academic: Lilisa was inducted into the following societies: Golden Key International Honor Society, Phi Theta Kappa International Honor Society for 2 Year Colleges, Mu Alpha Theta Math Honor Society and was nominated to the All American Academic Team of USA Today while a student at Union County College. 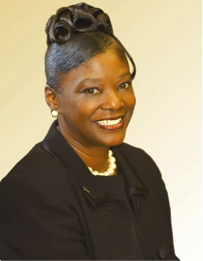 She was elected to the Regional Presidency of Phi Theta Kappa and served as the Regional President for Maryland, New Jersey, Delaware and Pennsylvania in 1992. Fellowships: Lilisa is a 2007 Leadership Newark Graduate. Awards: Lilisa received the Community Service Award from First Baptist CDC, Dr. Martin Luther King Jr Community Service Award from FSJ United Methodist Church, Houston Community College Career Day Award and a Procter & Gamble Plaque from the Black Employee Group. Publications: She was featured in Newark’s Star Ledger, Positive Community Magazine, WOW Magazine, The Black Star News and the Tri-County Journal. Published Works: Release Your Power, The Art of Making Money As A Self Published Author, and God’s Plan for My Success. Lilisa is an On Air personality for the popular Lilisa Show. She is also, a highly sought after Motivational Speaker who travels around the country teaching people the “8 Strategies to Releasing Their Power and Becoming their Authentic Self.” Coach Lilisa, as she is often referred to, is a Corporate Trainer and Professional Life Coach. Her unique coaching and training specialty is helping people to fully develop their skills and to always “Go for Their Dreams!” Lilisa is married to Drew of 25 years and has one step-daughter and grandson.